I'm asked regularly about food, how livestock is raised, how "healthy" food can be located. "Healthy" is up for debate. Many people have switched their source of protein...from pork bacon to turkey bacon, from animal protein to soy protein, to leaner cuts of meat in general. 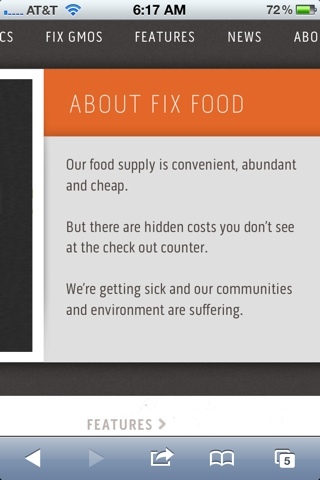 This website, www.fixfood.org, has great graphics, great (short) summaries, simple explanations. Antibiotics, GMO, vegetarian, water...lots of stats, short sentences, research based information. Fact based research. Another reason why we farm, and eat, the way we do.